A new study has found that people who work in shifts are more likely to get heart diseases. Obesity: Studies have shown that people working in night shifts could be at a greater risk of obesity. 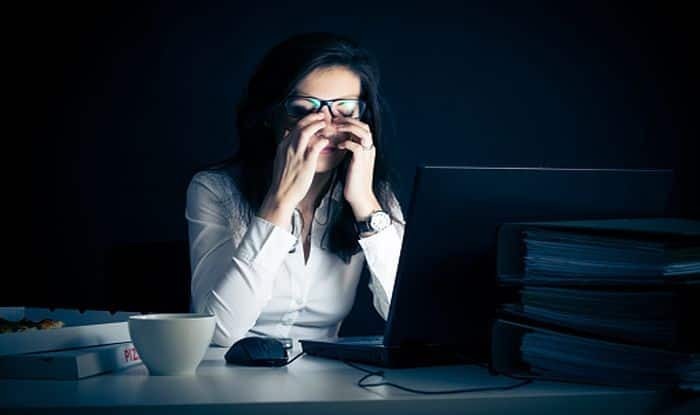 It has been observed that, as compared to people who work in normal schedules, people who work regularly in night shifts burn lesser calories throughout the day. This is mainly because people who work the night shift, eat and work at night when their bodies are biologically prepared to sleep. This leads to weight gain. Vitamin D deficiency: Those work in night shifts often don’t venture out during the day, preferring to sleep then, and this is why they don’t get enough sunlight and Vitamin D. This could lead to vitamin D3 deficiency which could weaken your bones and your immune system. DNA Damage: Working in irregular shifts could damage the structure of the DNA which could lead to diseases like cancer and diabetes as well as those affecting the pulmonary system. Constipation and other digestive problems: When you sleep and eat at irregular times, your digestive system goes for a toss. Sleeping and eating are interlinked and when one is affected, the other gets affected too. This is why people who sleep during the day and work at night experience problems like indigestion, acidity, bloating and others. Sleep disorders: Shift work can mess up with your circadian clock or body clock which regulates sleep patterns. This is why those who work in shifts suffer from problems like insomnia and fatigue very frequently.